Being ubiquitous in industry hasn't stopped barcode reader makers from innovating. Even with the holidays behind us (the seasonal peak in consumer retail/on-line spending, logistics and transport, manufacturing, and distribution), there are still more than 5 billion barcodes are scanned every day. Considering that the first barcode was scanned in the 70s on a packet of chewing gum, it’s clearly a formidable method of providing machine-readable UPC (Universal Product Code) that has evolved relatively little since. The systems that identify and decode barcodes on the other hand have come a long way and continue to advance to offer faster, smaller, cheaper and more robust readers. As for all successful innovations, they are born from necessity and enabled by an idea and a solution. The idea for a UPC traces back many decades before the first commercial code was scanned as well as the solution, patented by Bernard Silver and Norman Joseph Woodland. Woodland first came up with the ideas for the barcode symbol, based on Morse Code, by dragging his hand through the sand on the beach. The original patent was actually in the form of concentric circles of varying thickness bands, but the UPC barcode symbol commercialised in the 70s resembled the familiar 1D barcodes still used today. Printing technology has evolved to enable ever smaller UPCs but reading technologies have evolved from electro-mechanical scanning using lasers and photo-multipliers to imager-based systems that capture and process images. While 1D laser based scanners are still manufactured and deployed, the most significant advances in the reading system came from the invention of 2D imager based readers. 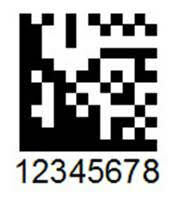 An imager based reader can read 1D barcodes in any orientation (not the case for uni-directional laser based systems) but also enabled the evolution to two dimensional matrix based barcode symbols. This reader technology transition began around 15 years ago but now represents the majority of today’s market, estimated to be in excess of 35 million scanners manufactured per year. 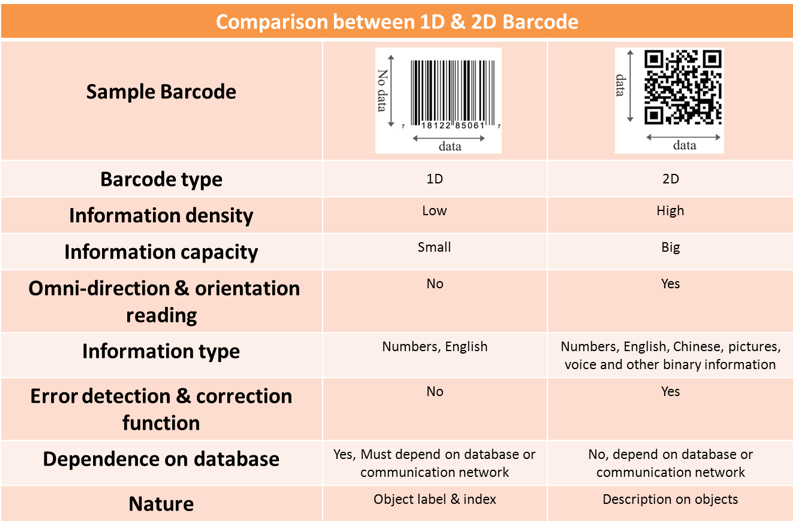 The 2D barcode in its various forms offers a significant increase in code-able data versus the traditional 1D – typically 1D barcodes can have from 20-25 characters while 2D codes go beyond 2,000 characters depending on the specific barcode type. Apart from the obvious ability to store greater product info and details, check-sum and other error correction techniques can be coded in 2D barcodes to ensure increased tolerance to poorly printed or damaged codes. 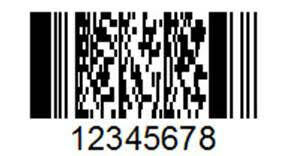 1D barcodes typically encode a part number, product code or serial number of an item. Usually a single string of data is linked to a database and used to retrieve a related database record, for example, a grocery UPC symbol retrieves the product’s description, price, unit-of-measure, and size from the store’s database. 2D barcodes can potentially hold hundreds of characters of data, and typically encode an entire database record, so no connection to a database – nor a search function in any software – is required. They can contain multiple language characters or other binary data like URLs, email addresses, telephone/text data, and even digitized voice data or images. They also contain error detection and correction algorithms making them extremely robust. A 2D imager-based reader offers significant evolution possibilities as a consequence of using an image sensor. It also provides additional features not previously possible. This includes taking photographs or recording videos, and enables more advanced functions like document scanning, OCR (orthogonal character recognition) and object detection and dimensioning, as just a few popular application examples. 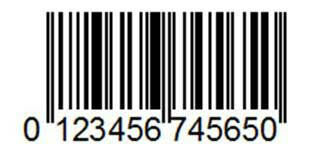 Code 39 is one of the oldest barcodes designs, common in electronics, healthcare, and government. It can include the entire 128 ASCII character set and is limited only by the size of the label. Code 128 is derived from the ASCII 128 character set but is optimized to be more compact, making it popular in packaging and shipping applications worldwide. Interleaved 2 of 5 is a numeric-only barcode commonly found in warehouse, distribution, and manufacturing. International Article Number (EAN) is considered a superset of UPC, used specifically by booksellers, libraries, universities and wholesalers for book traceability. Universal Product Codes (UPC) are found on nearly every retail product, designed for quick receipt printing and inventory tracking. PDF417 is a stacked, linear 2D barcode with sophisticated encoding features that make it the choice for the USPS and Department of Homeland Security. Data Matrix has become a very common 2D barcode, able to contain large amounts of information in a small space, but require sophisticated scanners translate the image. 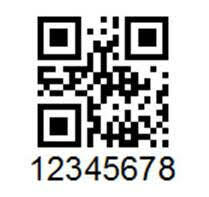 Quick Response (QR) Codes are the latest trend in barcoding. While not as compact as other 2D barcodes, it's often used in marketing to link to internet resources.